My name is Carrie Galvan. I am a Certified Behavior Consultant in Springfield, Mo. I moved here when I was two, went to public school, and bought a house in the neighborhood I grew up in at the age of 20. I am a single mother of three children ranging from 9 to 16 years. About 6 years ago I was a stay-at -home mom watching my children growing to be more independent, learning to be productive citizens, and costing quite a bit more money. I decided that instead of getting a full-time job with set hours, keeping me from enjoying school activities with them, that I was going to take a leap of faith and start a small business from the years of skills I had acquired. I have an amazing support system that I could not have been successful without. They were key in helping me get to where I am today, doing my "dream job" and enjoying time with my children. I started training dogs in my childhood, started working with rescues in my twenties, and became a professional in my 30's. I have been interested in animal behavior since I can remember. It is something I have always been passionate about, am not sure I could ever learn all I want about it. My current concern is for the city I grew up in. I have seen my childhood neighborhood go from a few houses with a giant field and small forest, to a large neighborhood with one of the largest churches in town. I have seen our highways go from one lane each way (which makes me laugh now) to three lanes both ways and having huge fly-over passes. Dogs were even free to roam for the day while we were gone and always greeted us at the door when we got home. Obviously, these things have changed because we need to change with the times. To help aide in the growth of the city we have slowly imposed more laws, ordinances, and rules on the citizens of Springfield...yet we are on the top ten list of most dangerous cities in the United States??? This just makes me wonder if our government is really focused on the right issues. I am not a politician, so I may not understand all of the ins-and-outs of how government works, but I was able to get an up close view when I was asked to be on this "great new committee" that was going to help the welfare of our animals in Springfield. This was the birth of the Animal Issues Task Force. I was on this task force from day one until the day the Mayor determined it was no longer needed. Three years we all met. We discussed with, learned from, listened to, visited, and researched about some of the Greats in our great nation! I was so eager to meet each month and find out what everyone had learned, and share what knowledge I had. There were so many respectable people in that room; Veterinarians, Biologists, Professors, Animal Behavior Professionals, lawyers, retired City Council Members, Rescue heads, concerned citizens, and many more throughout the years. One of the many items we discussed was education for our citizens, which in my opinion, was stonewalled by certain officials every time it came up. Not wanting to be discouraged, we just kept on trucking on other issues, such as how to help with the amount of dogs our Animal Control was having to house with EXTREMELY, limited resources. Our Animal Control did not and still does not have the manpower or funds it needs to keep our city as safe as possible from dangerous animals of all kinds. There were so many good ideas and we were able to come up with many solutions such as discussing partnering with SAFEHOUSE and other animal advocacy groups, and writing a huge piece of legislation to help with the nuisance animals, dangerous and/or vicious dogs, and reckless owners. When it was decided that our dangerous dog ordinance was extremely outdated, I shared with the task force, documents from the Association of Professional Dog Trainers (APDT). These documents were a recommended plan put together by the world's top Animal Behaviorists, Veterinary Behaviorists, Veterinarians, and K9 Trainers. The hope was to help cities to keep their citizens safer from dogs that are not considered safe for the general public, to help educate people that may not know any better, and to punish repeat offenders to the extent of not being able to own an animal for a period of time. It was amazing! We even had Jim Crosby (legal consultant, K9 behavior consultant and trainer, and retired officer that specializes in investigations of dog bites and dog bite fatalities) come and do a weekend seminar for dog professionals and law enforcement. I learned so much from him and it just increased my intrigue about animal behavior. I was shocked to see that the city had sent ONE person to the seminar. Really? Only one person? Other cities sent officers, and there were council members there, but none from Springfield? Isn't this why we had Jim here? All of that wealth of information, and now the City is thinking of banning Pit Bulls? 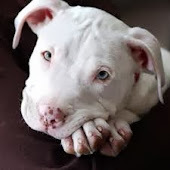 It has been proven time and time again that the best approach to dog bites in a city is best dealt by clear legislation and education...not by banning a breed. Denver enacted their ban 20 years ago and STILL spends $1,000,000 on enforcing it. Calgary enacted clear legislation, licensure, and education 20 years ago and only had 2 bites in 2016? I think the current City Council missed a lot of this information that was collected about Breed Specific Legislation. I am positive they have not been given all of the information. I certainly hope they will use resources, from every avenue, that have been presented to them before making a decision that will effect so many of their citizens.